Anyone who is a parent, or who regularly deals with children, will talk with a fair degree of awe over their ability to learn. In the space of a few years they manage to pick up and master complex tasks like walking, talking and reading. Indeed, they can absorb more than one language effortlessly if they live in a multi-cultural household. Their ability to learn is nothing short of amazing. Similarly, anyone who has tried to learn a new language later in life, or learn to play the guitar or even ride a bike will know just how hard it is. As we grow older, learning new things becomes increasingly more difficult. There is a physical reason for this and it involves how the human brain evolves. When the neuron doctrine – that is the concept that the nervous system is made up of discrete individual cells (neurons) - was firmly established by Santiago Ramon y Cajal (among others) the prevailing belief was that after birth no new neurons appear. Subsequent studies showed that this wasn’t the case and that new neurons can be generated even as we grow older. Equally, for a long time it was believed that the connections that were made in the brain became fixed as people grew up. Eventually, this theory was dispelled as it was confirmed that people keep on making new connections as they learn new things. Indeed, specific research revealed extremely interesting factors about the make-up of the brain. For instance, one study in 1996 by Eleanor A. Maguire, Katherine Woollett, and Hugo J. Spiers (London Taxi Drivers and Bus Drivers: A Structural MRI and Neuropsychological Analysis) showed that London taxi drivers have a larger hippocampus (in the temporal lobe) than London bus drivers. The hippocampus is a small region of the brain that forms part of the limbic system and is primarily associated with memory and spatial navigation. Given the complexity of roads that cab drivers have to learn in order to carry out their job – as opposed to the limited routes that bus drivers experience – it makes sense that this area of their brain is more evolved. Yet, it also follows that it grew because of their job and the need to know which roads to take to reach the different destinations they come across on a daily basis. One of the leading experts in the field of brain plasticity is Dr. Mike Merzenich. His book Soft Wired is a must read for anyone who longs for a deeper understanding of this concept and the kind of impact that ‘training’ the brain can have (even if not all brain training has the same impact). Dr Merzenich confirms that exercise can help the brain but argues that most ‘typical’ training that people carry out – such as attending a gym or running – are not actually that beneficial in helping exercise the brain and re-building its control of actions. Indeed, he argues that such training only helps embed “movement stereotypy” and as result they can have a negative impact on one’s ability to build a wider range of movement skills. All that seems fairly obvious (at least it does, when you think about it). To avoid falling into that particular routine, Dr Merzenich argues that the brain needs rewards and surprise in order to learn and change. Rewards are a staple of modern motivational techniques so it is hardly surprising to see his recommendation over their use. The argument here is that celebrating the successes (such as managing to do a different trick that requires a different skill set than you normally use or a different behaviour during the game) can help the brain change. Knowing that can be incredibly important for coaches. Surprise can equally act as a trigger. 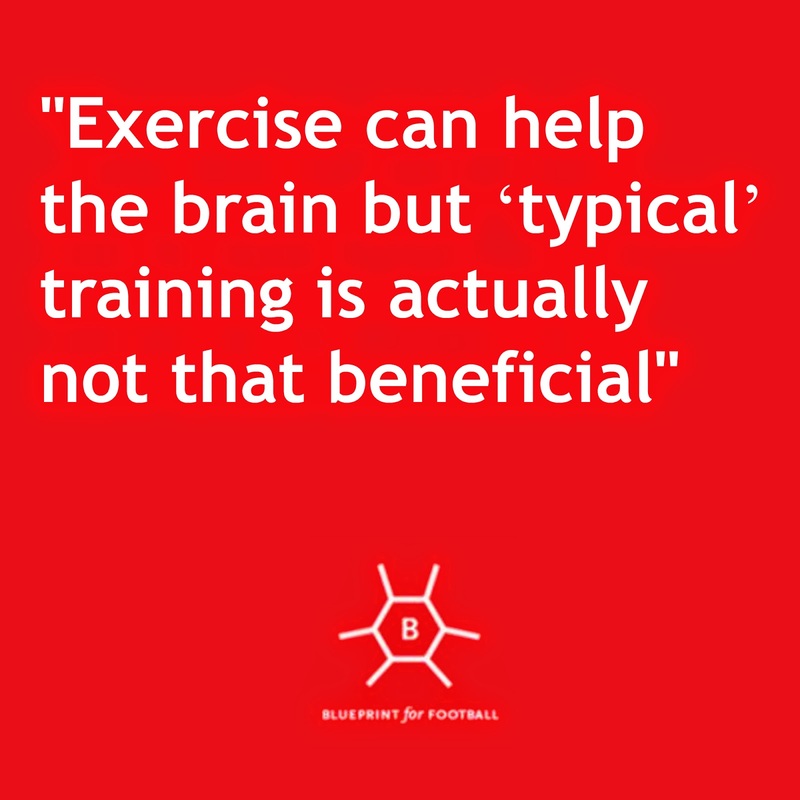 Having a rich variation in training is vital in helping the brain ‘learn’. Whereas children learn a lot through repetition, this is not particularly advantageous in adults which is why variation is necessary. By itself, however, variation isn’t enough. There must also be attention by the athlete’s part on what they’re doing and what they’re trying to achieve. Only in that way can the kind of flexible problem solving reaction that the modern game requires become an integral part in a player’s skill set. One of the most well-known characteristics of Ajax’s famed academy is their exposing players to different roles, ensuring that their development is more rounded by getting them to experience games playing in positions that are alien to them. The aim of this approach is that of ensuring that players have a deeper understanding of how the various positions on the pitch fit into the team. It is also a way of developing players who are flexible and easily slot into any gaps that might arise during the game, thus ensuring that their fluid style of play – the famous total football – can truly function. 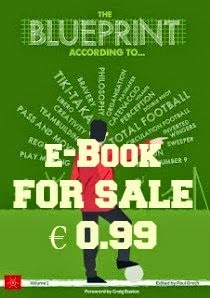 Although Ajax were the first to pioneer this approach, it is now adopted by a number of clubs which isn’t surprising as modern football demands players who have a wider understanding of the game. Going by Dr Merzenich’s theory about the need for variation, however, this does not simply ensure players who are tactically flexible but the variety in preparation ensures that their brains are better prepared to adapt and learn. In other ways, this approach could, indirectly be leading to players who have a better ability to process any football and tactical problems that come their way. Of course, there is no empirical evidence of this (at least, as far as I’m aware). Yet it is interesting to note how many players who have come through the Ajax (and the Dutch) system have not only gone into coaching but proven to be quite good at it. Could it be that their approach – the kind of training that they are exposed to – helps develop a ‘football’ brain, in that their brain is better programmed to analyse football? This is the second installment in a two part series. The first part can be read here. 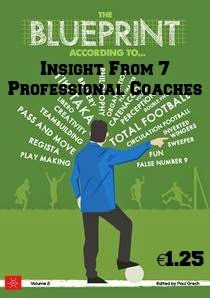 This article was originally published in Blueprint for Football Extra, the site's (free) newsletter.